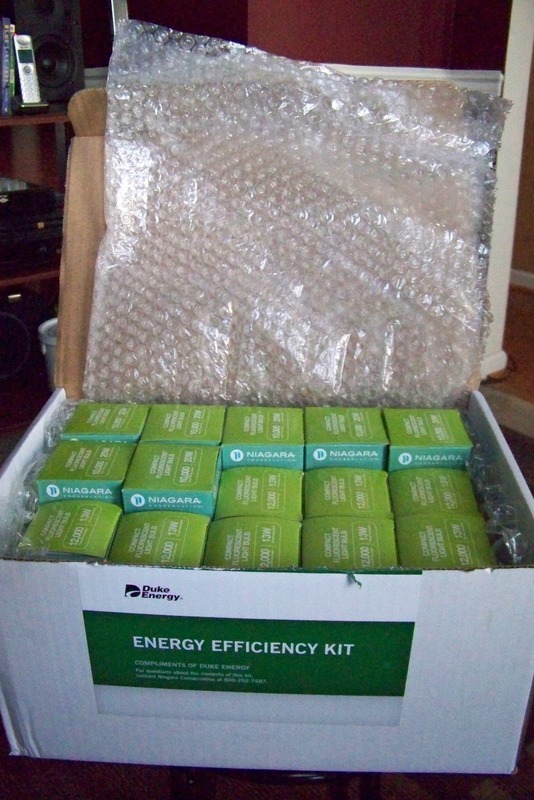 Last spring, Duke Energy announced that it would mail a coupon for a free six-pack of 13-watt compact fluorescent light bulbs (CFLs) to customers in North Carolina and South Carolina. I received my coupon in April, I think, and I had something like six weeks or so to redeem it at Walmart for the free bulbs. Of course, whenever I went to Walmart I would never have the coupon with me; then eventually I lost it. Then last month, when I went online to pay my electric bill, a screen popped up for me to redeem my free CFLs. 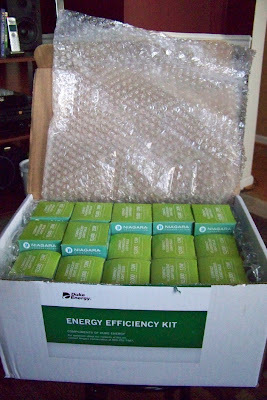 I clicked yes, and about 10 days later a box of 15 CFLs arrived at my door. 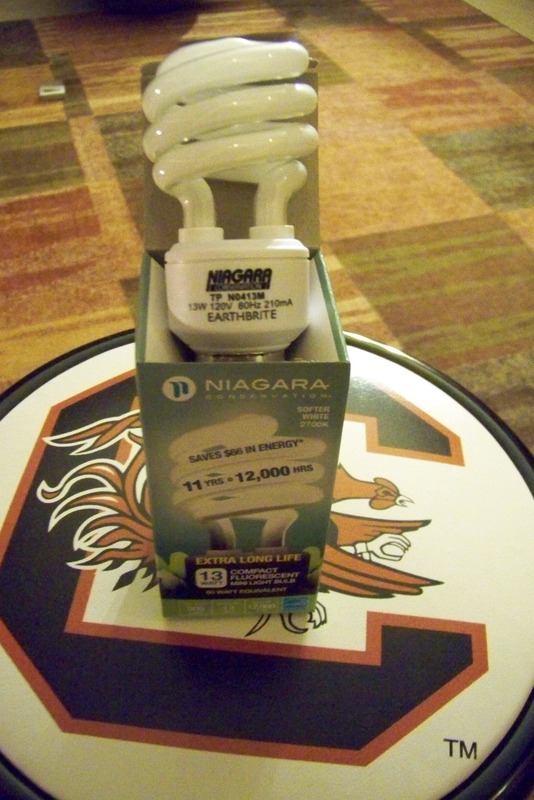 Eight of the bulbs are 13-watt, which is equivalent to a 60-watt standard bulb, and seven of them are 20-watt, equivalent to 75-watt. After the box sat for about two weeks, I finally started switching them out yesterday. 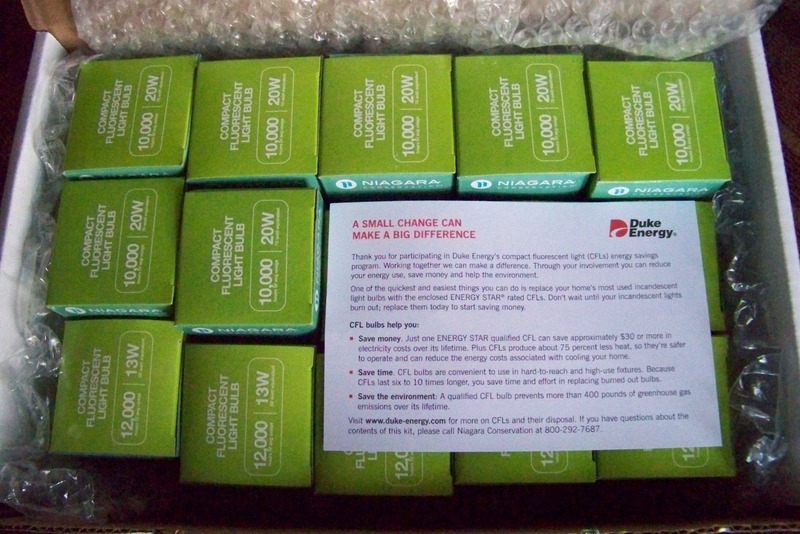 According to Duke Energy, each CFL saves about $30 in electricity costs in its lifetime, lasts six to 10 times longer, produces 75 percent less heat, and prevents more than 400 pounds of greenhouse gas emissions over its lifetime. With all those benefits--financially and environmentally, why wouldn't anyone switch to these bulbs? Unless you're worried that the energy company is working with a secret agency inside the federal government and have installed tiny cameras and microphones inside each bulb to spy on you, you should take advantage of this offer if you live in the Carolinas. Click here to see if you're eligible.